Save the date and time! One month from today! Exact location in the Long Beach Area to be announced. 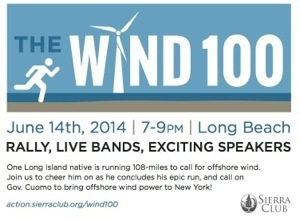 Our friend Matthew Kearns is running 100 + miles to bring attention to the growing need for and easy availability of Offshore Wind power here on Long Island. You and I will be there to turn that attention to help Governor Cuomo understand we support moving to offshore wind NOW and help him act on offshore wind power. Matt is running 100 miles. If you support renewable energy and offshore wind power for Long Island, the least you can do is put aside a couple hours to attend this event. Be a part of this historical moment and movement. Be there! 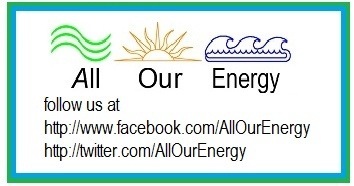 RSVP to Sierra Club here: yes I will be there to cheer Matt on and support renewable energy and offshore wind!